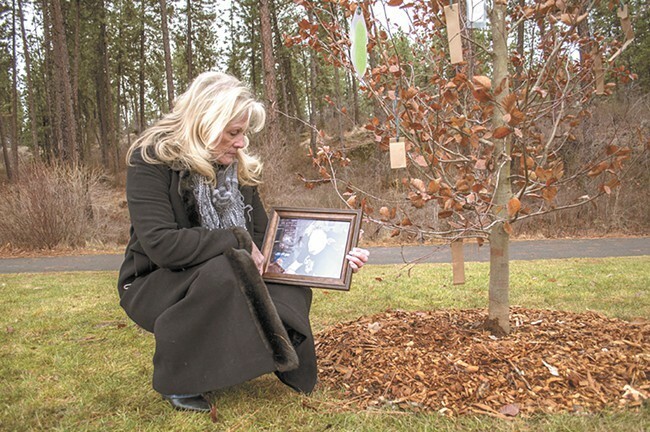 Sandra Carr with a photo of her son, Mark Overland, who committed suicide in August. Last week, we ran a story about Mark Overland, a former patient at Eastern State Hospital who was adjudicated not guilty by reason of insanity (NGRI) in the fall of 2000. He lived at Eastern for 14 years, writing dozens of letters about his dreams of moving back to Spokane and becoming a video-game designer. In July, he was given the opportunity to move into a Spokane group home. Less than a month later, Overland — to the shock of his family and friends — committed suicide. "It just wasn't fair," Clark writes of Overland's death. 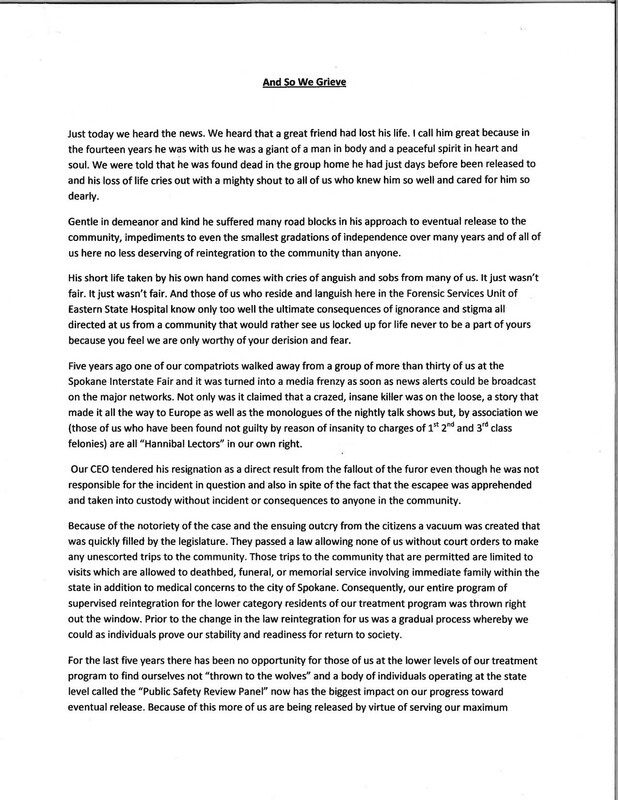 "And those of us who reside and languish here in the Forensic Services Unit of Eastern State Hospital know only too well the ultimate consequences of ignorance and stigma all directed at us from a community that would rather see us locked up for life never to be part of yours because you feel we are only worthy of your derision and fear." "I've been here 36 years," he continues, "and never have I witnessed such a hopeless set of circumstances all poised to actually impede the level of true recovery. 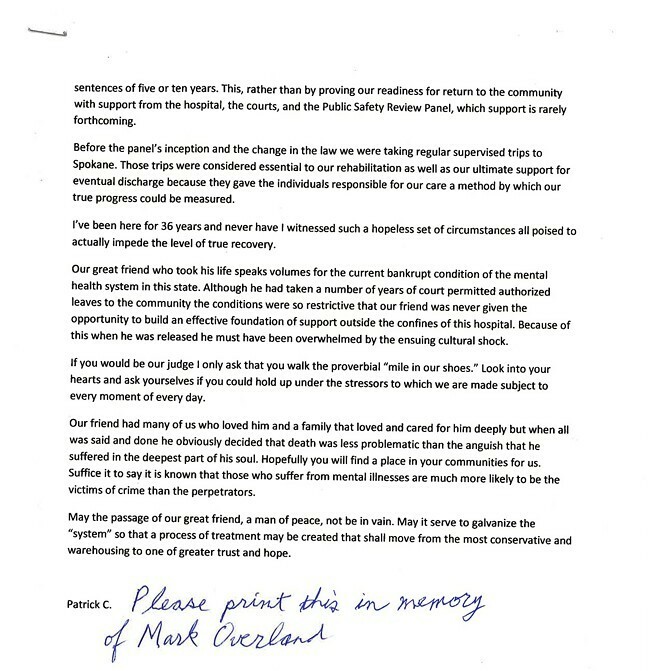 Our great friend who took his life speaks volumes for the current bankrupt condition of the mental health system in the state."